Nicole’s new book is now available! Need to shift your focus toward the positives in life? Nicole helps us reroute our vision through these 100 stories originally shared in her popular newspaper column, Kindness is Contagious. 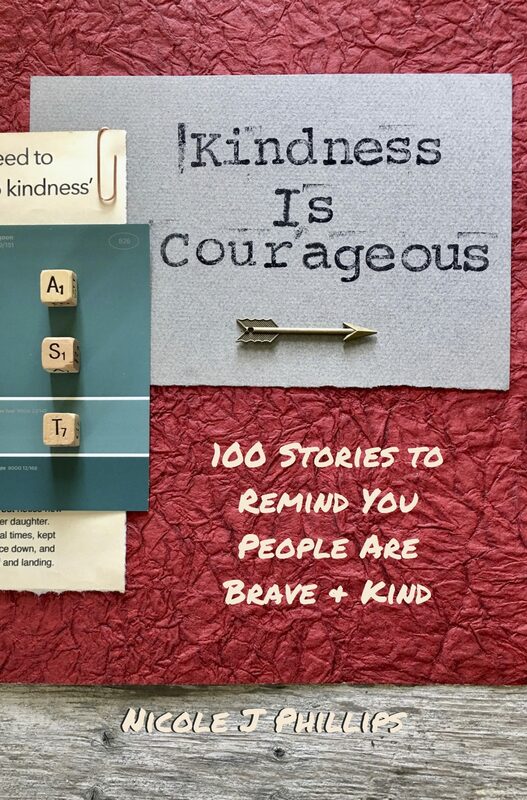 In Kindness is Courageous: 100 Stories to Remind You People Are Brave + Kind, unleash your own power to be authentically brave and kind! These real life stories will change your life by changing the way you see the world. Feel like your focus could use a little refining? Let the stories that often go untold in our society become you secret passageway to a life full of purpose and joy. 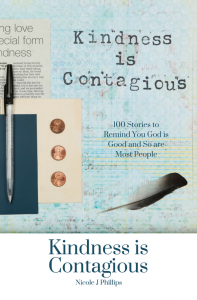 In Kindness is Contagious: 100 Stories to Remind You God is Good and So Are Most People, columnist Nicole J Phillips compiles her most popular articles in one book. These powerful stories were sent in from people all over the United States for original publication in a newspaper in Fargo, North Dakota. Each one reminds us that love is a powerful tool to combat life’s ugliness and motivates readers to step out of their comfort zones to activate the true benefits of kindness.